For most of us, the definition of perfect weather is the sun shining down us and there is not a speck of cloud in the sky. The onset of summer greets us with lovely weather, just the kind of weather you would love to spend out in the sun. But yes, soon the scorching sun becomes unbearable and you do not want to expose yourself to such harsh weather conditions. So, now you want to protect yourself and your home from such harsh weather conditions and outdoor blinds should be your perfect go-to to shield you from the vagaries of weather. So how would you choose the perfect outdoor blinds and shades? 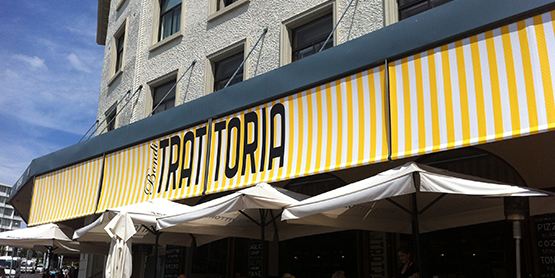 There are several criteria which help to decide the right outdoor blinds and shades. 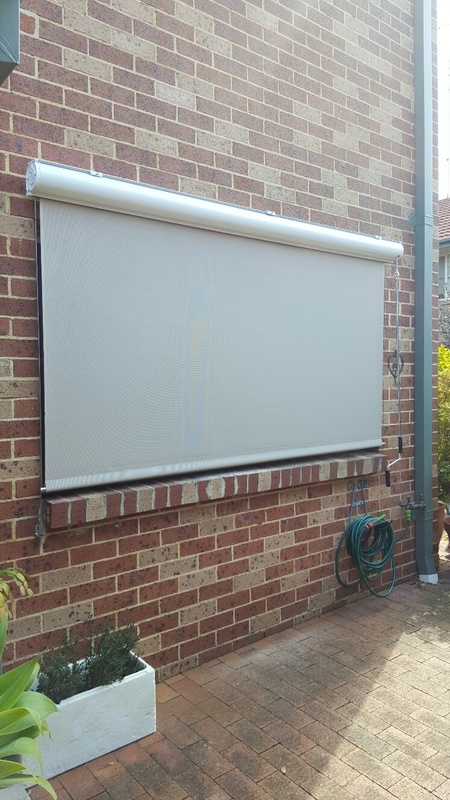 So why do you need to purchase an outdoor blind? If you want to protect your home? Or you want to protect your outside furniture? Or perhaps you want to extend the outdoor area? If it is a resounding yes for most of the questions then perhaps it is time for you to buy outdoor blinds for your home. In summer you would want to protect yourself from the harsh rays of the sun and when it is not so hot you would much rather seek shelter from the wind and rain. 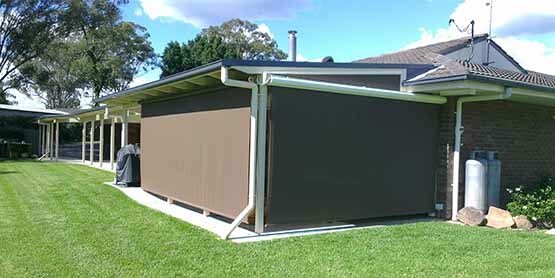 So, you can choose the perfect outdoor blind solution to protect yourself from the fickle weather conditions. How easily can you handle the blinds? 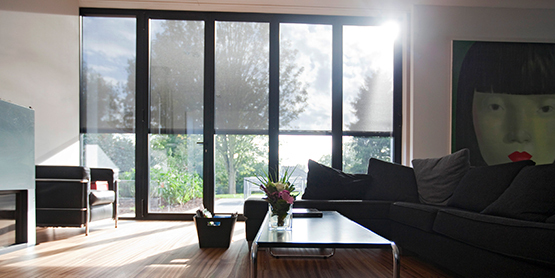 If the weather is particularly harsh and you find it difficult to remain outdoors then blinds are the perfect way to protect you from the extremities of weather. Then you can zero in on a permanent or retractable outdoor blind option and learn how to operate them. 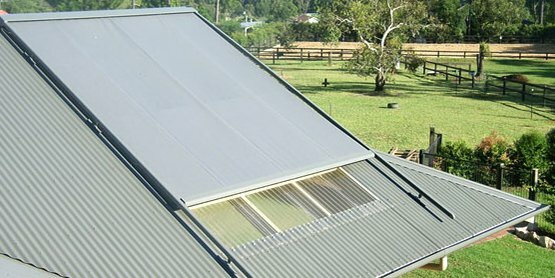 When you are facing bad weather you can use awnings, blinds and patio and alfresco motorized shades which will be easily extended and retracted with the touch of a button. The type of fabric you choose for your blinds varies from place to place. 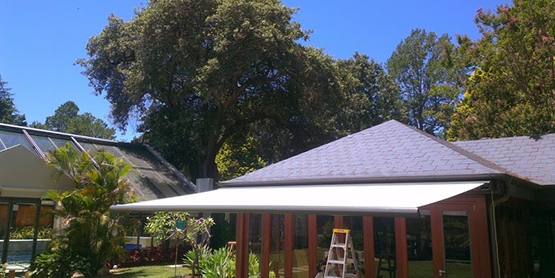 So if you choose a PVC material it will give you protection from inclement weather and at the same time, it will allow the natural light to filter in and enter the outdoor space. But PVC may not be the ideal choice for warm weather or for places where it is too windy. The right alternative, in this case, will be to install mesh blinds. Mesh is a perfect fabric as it can combat the effects of the sun in summer and also protect you from cold winds and rain in winter. 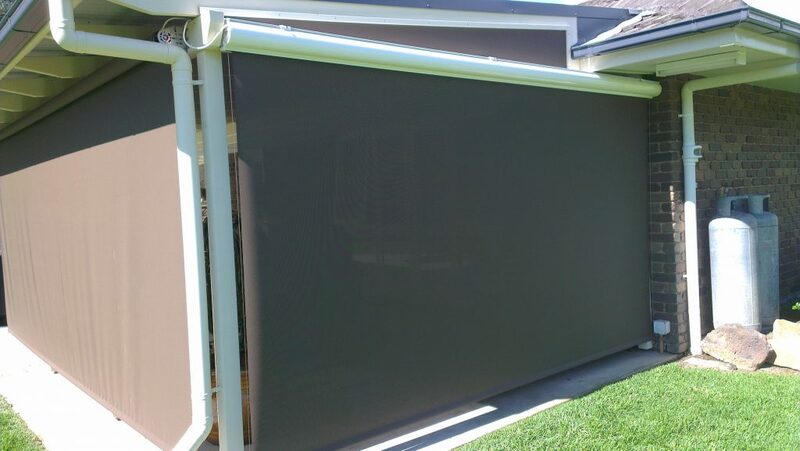 Then there are the canvas blinds which are not only durable but also offer a high level of UV protection like the acrylic fabrics. 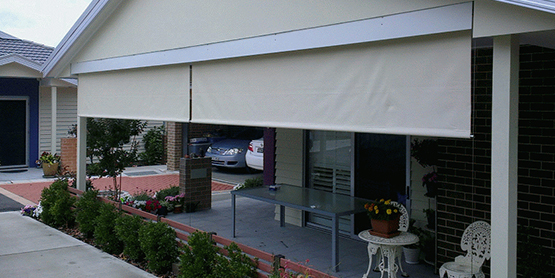 Choose the right blind made of the perfect fabric so that it can cater to your requirements perfectly. Outdoor blinds and awnings can be used to make your home more energy efficient particularly in summer when you need to put on your air conditioner most of the time to bring down the temperature of your home. Blinds are pretty functional as they can help block up to 35% of the suns harsh rays of the sun. So, this way you can reduce the usage of the air-conditioner and thus save on the excessive expenditure on energy consumption. So, if you follow the above points you will find that choosing the perfect outdoor blinds may not seem such a daunting task for you. Go ahead, choose the right outdoor roller blinds for your home or café blinds for your shop and you will be stunned at the transformation!